A documentary offering a series of interwoven personal stories, conveying why some western Wisconsin residents still say that “rural life is the best life” — even in the face of hardship and change. This project is the culmination of reporting on many topics of concern to rural residents that began after the 2016 election. Producer / Reporter Andy Soth contributed stories on transportation and rural broadband for Wisconsin Public Television’s Here & Now program before beginning a residency at Marquette University as an O’Brien Fellow in Public Service Journalism. At Marquette, Andy led a team of four students with interests in on-air reporting, photography and public policy. Their work was featured through Facebook as the Purple River Project. Content gathered by the Purple River Project and for Here & Now form the basis of Portraits From Rural Wisconsin. The program is structured following the year Andy and his students spent reporting in rural western Wisconsin from late summer 2017 to early summer 2018. WisContext is an online multimedia news and information service produced through a partnership between Wisconsin Public Television and Wisconsin Public Radio. It presents reporting, research and community-based expertise to provide information and insight about urgent and emergent issues that affect Wisconsin. WisContext’s editorial team regularly reports on issues of crucial importance to our rural communities, collecting this reporting in the following thematic series. 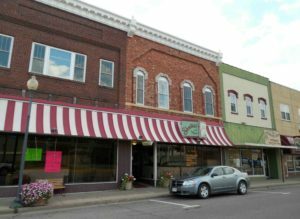 Rural Wisconsin faces a broad array of economic challenges: a decrease in population, an aging workforce, limited infrastructure, and agricultural and manufacturing business woes. The dictates of distance and cost can combine to frustrate entrepreneurial and job opportunities. At the same time, the distinct attributes of rural areas can encourage economic development. Both public and private efforts to revitalize individual communities and broader regions are underway around the state. Dairy is iconic in Wisconsin. The production of milk and cheese is a long-standing foundation of the state’s identity and global reputation. This industry is a significant component of Wisconsin’s economy, dependent on the fluctuations of international markets and tastes of consumers — each of these affecting the livelihoods of farmers and their employees. Meanwhile, the structure of the business is changing with the number of farms decreasing as their average size increases. 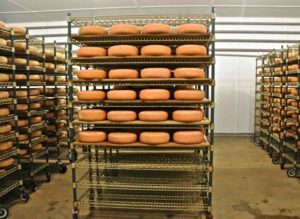 Around Wisconsin the direction of the dairy industry will define the future for producers and communities. The face of public education in Wisconsin has been fundamentally reshaped over the past decade. These changes are amplified in our rural school districts. 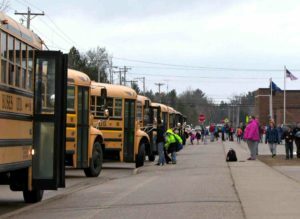 Slow population loss in Wisconsin’s rural counties results in shrinking school enrollment numbers and local tax bases, putting pressure on districts’ budgets. With a growing teacher shortage nationwide, rural schools struggle to attract new staff. At the same time, districts across the state are increasingly turning to referendums to fill the funding gap. 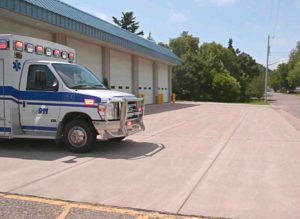 Rural life poses distinct obstacles to improving health outcomes: the reality of distance to care facilities, the availability of healthcare providers amid population decline, access to the specialized treatment required for an aging population. As the demographics, economy and environment of rural Wisconsin shift, so do the health needs of its people. Most Wisconsinites live in urban and suburban communities but the state’s landscape is dominated by rural areas where farmland and forest predominate. But what makes a given place rural? What about small towns or “up north” tourist destinations? And when is a place even considered small in the first place? Defining the continuum between rural and urban areas is complex and can be a contentious matter. 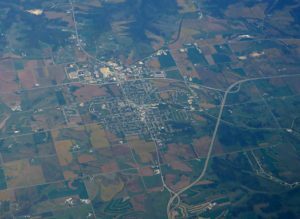 Malia Jones explores several ways 'rural Wisconsin' can be defined and mapped. Katherine Cramer shares the results of a study of Wisconsin, its people and its politics. Kevin Bernhardt discusses the affects agricultural and general economies have on farms. Jerry Apps explores the influences that helped shape the farming industry in Wisconsin. The O’Brien Fellowship in Public Service Journalism at Marquette University and Friends of Wisconsin Public Television.